A Year of Good Habits: Don’t Throw Away the Food! We have entered the first days of June. June, sweet June, has continued wet and cold here in New Hampshire. I’ve tallied the rain days–fourteen and then, after a few days of respite, seven. Still, school ends in eight more days, flowers are blooming, and the boys and I are headed to the South for our annual summer road trip at the end of the month. Life is sweet this time of year. It’s amazing that at the end of the month we’ll have finished half of the year! In some ways, it’s lovely to see the progress towards our goals we’ve made this year, and personal growth we’ve made as a family, in helping the kids navigate school and friendships, and finding the best combination of after-school activities and fun without going over the top. 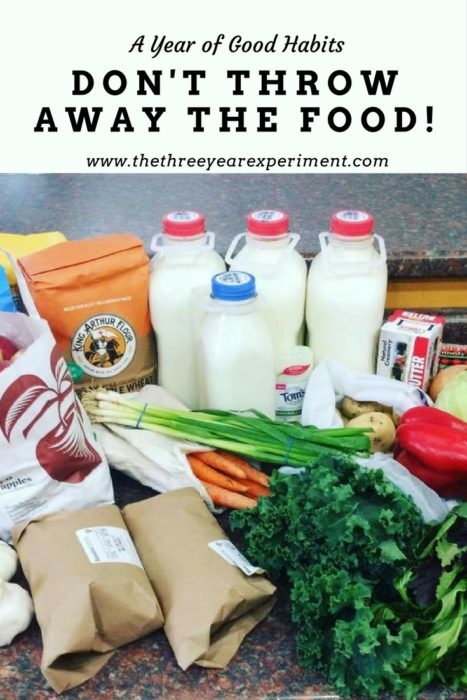 Author LauriePosted on June 6, 2017 February 15, 2019 Categories Eating Well for Less, HabitsTags don't throw away the food, don't waste the food, eat all the things, frugality4 Comments on A Year of Good Habits: Don’t Throw Away the Food!